This past week and weekend I got to experience so many new things! Not only was I crossing things off my Minneapolis "To Do List" but I was enjoying quality time with great company! Shall we take a look at what I have been up to? Now I have to admit people kept talking about the Aquatennial and I had no idea what is was, or that it was such a big deal! So here is a quick little description of what the Aquatennial Festical actually is! 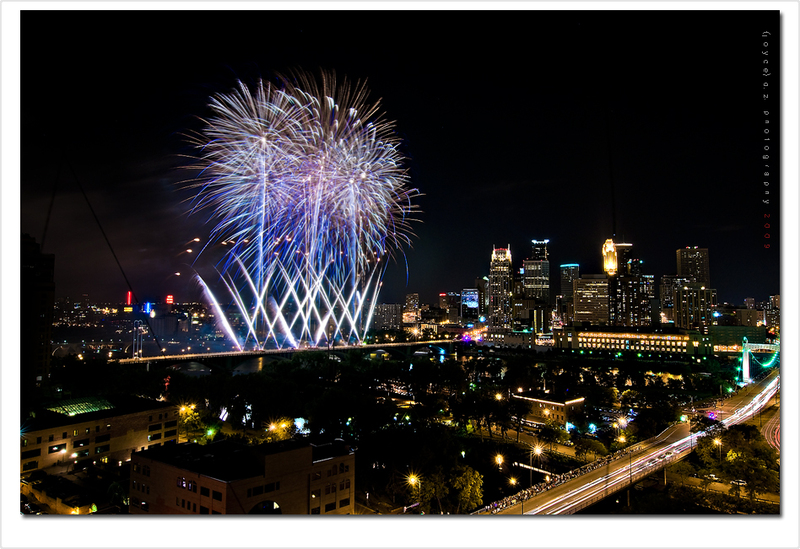 "The Aquatennial is the official civic celebration of the City of Minneapolis. Entering its 73rd year, Minneapolis residents, workers, and tourists have come to love and appreciate all that the City of Minneapolis has to offer during the Aquatennial Festival." So now that we covered what Aquatennial is I can tell you about the fun that took place outside of my apartment window Wednesday night! This past Wednesday night Hennepin Ave (a major street going through downtown, that I live on) got completely shut down at 7pm for the Aquatennial Torch Light Parade and 5k! The best part about the Aquatennial parade was that it literally took place right outside my apartment, I just had to walk out my front door! It was neat experience to be able to look out my apartment windows and see the parade go by! I decided that next year I want to run the Aquatennial 5k Race! Saturday I got to have a night out on the town! A night at the Guthrie Theater (Check out my post about the Guthrie here)! where we saw, Roman Holiday the Musical! Roman Holiday is by far one of my favorite Audrey Hepburn movies, well besides Breakfast At Tiffany's! I just love Audrey Hepburn, and the actress Saturday night did a wonderful job portraying the classic movie star! I thought the performers did a lovely job bringing this iconic film to life on stage! Not only was the Musical wonderful, but the Guthrie Theater is beautiful, with large windows, and picturesque views! Just take a look! The Aquatennial Fireworks made for a perfect way to end our night out at the Guthrie. We literally walked outside after our show into a splendid fireworks display! I have to say that the Aquatennial fireworks were some of the best I have seen, maybe even better then the ones I saw on the 4th of July! And now a few of mine! It was a fun filled week/weekend! Does your city have any big celebrations?